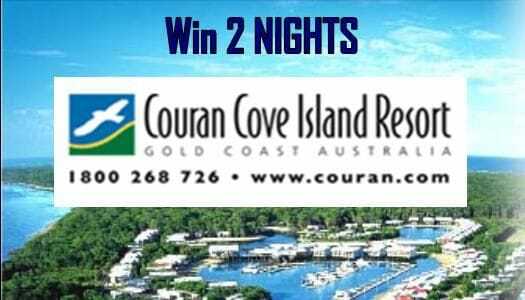 WIN 2 NIGHTS at our special Island Resort at Couran Cove. Situated on South Stradbroke Island, it's an island resort experience of peaceful seclusion - yet only 40 minute ferry ride form the Gold Coast's dazzling attractions. Relax, recharge and rejuvenate in our very private cabin overlooking the marina. Imagine waking each morning to the gentle sounds of nature, the call of the native birds, the whisper of the breeze through abundant Banksia and rainforest and the hushed roll of the distant surf. Indulge in award winning gourmet dining and luxury Day Spa treatments, explore a range of sporting activities including jet ski rides and beach volley ball. This is our very special hideaway and we want to share it with you. As you know we have been discussing the idea of shared ownership in a 70ft luxury Superyacht "The Boardroom", which I am happy to tell you, has now arrived in the Gold Coast. I have inspected the boat and it is even more than I had hoped for. From the original concept conveyed, I have been thinking about what other ‘toys’ we could utilise as a group. In my research, I have come across a Club that provides a range of luxury assets to its members. I am currently in negotiations with the company to secure their services to manage our own exclusive Club if the results are favourable from the survey competition. Please complete the following questionnaire to help us establish the viability and acceptance of this exciting concept and WIN 2 Nights at Couran Cove Island Resort. 4. Approx, How much extra did you spend on repairs & maintenance, storage, insurance, registration etc in the last 12 months? 5. OK, for these next questions, let’s assume you do NOT own any luxury assets at the moment. Below is a selection of the types of luxury assets that could be available. Please tick each asset that you and your family would like to see in a Club? 7. Which activity is the single most important to you? 8. If you had access to a range of these assets, when do you think you are likely to use them? 9. Where would you like to use a range of assets? Feel free to tick multiple boxes. Thank you for your support for completing our entry form. Please forward the link to the entry form to your friends and relatives.